Watching a 3D movie is nothing new to anyone of us I believe. A good 3D movie can give us an extraordinary experience and makes us feel like we are in a whole different world. The common way to watch a 3D movie for most us is probably by going to a movie theater. The big screen and the outstanding audio effects can greatly boost the experience of the movie. However, sometimes it would also be great if we can watch a 3D movie in our homes. I don’t know whether or not have you ever thought about this, but according to my own experience, watching a great 3D movie with a Blu-ray player can also deliver a wonderful experience. In case you are wondering, the process of burning a 3D movie to a Blu-ray is not complicated at all. All you need to do is download a 3D MKV movie, burn it to a Blu-ray disc and enjoy yourself with the good movie. Today I will introduce the detailed steps on how to burn a 3D MKV to a Blu-ray so that you can experience yourself too. The first thing you need to think about in order to burn a 3D MKV Blu-ray movie is to find the resources. It’s easy to find free Blu-ray movies download online but for a 3D movie, it’s a different thing. Despite being not as easy as finding a regular movie download, finding a 3D MKV movie download is not that hard. Actually, there are more than one way to find 3D movie downloads. How I will introduce some of the easiest ways to download 3D MKV movies. There are many 3D movie download sites which provide exclusively 3D movies downloads. You can find your desired 3D movie or movie clips from these sites and directly download from there. Here are some of the good sites where you can find nice 3D MKV movie downloads. 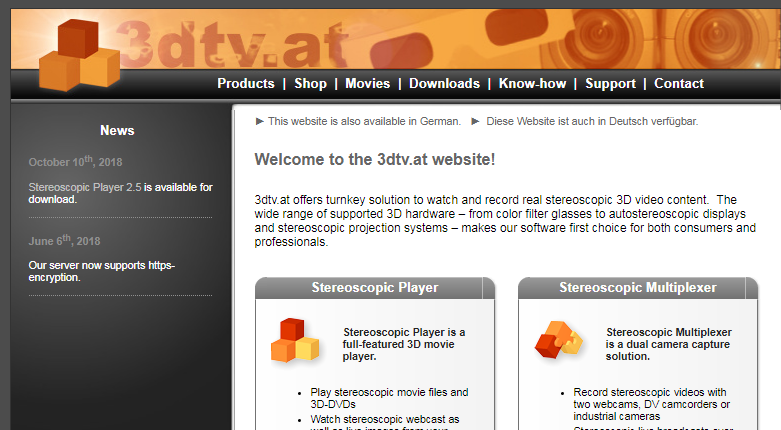 3dtv.at The second 3D movie download site that I will introduce is 3dtv. As a professional 3D movies website, 3dtv can provide you the best quality of 3D movies free download. Furthermore, it can offer you various resolutions suitable for your computer which will give you the best and most smooth playback. For the quick scanning of the 3D movies, you can select different criteria to filter your favorite movies. Of course, you can download them with ease. 3D-HD.club 3D-HD.club is a 3D movie download site. The interface of this website is pretty clean and straight-forward. Once enter the website, you can find 3D movies by categories from the left bar. You can find 3D movies up to 1080P, and there are ratings and reviews for every movie on the website. Because the movies are normally in high quality, the file you download could be very big. The average file size downloaded from the website could be more than 20GB. That means a very long downloading process, but on the other hand, you can have a really good movie experience with movies downloaded from this website. Apart from downloading 3D movies from 3D movie download sites, there is another way, in which you can download any 3D video online. And that is to use a professional video downloader program, Leawo Video Downloader. As you may already know, there are so many 3D videos that you can directly watch online in some video streaming websites like YouTube. If you can watch them online, you can download them to your computer with Leawo Video Downloader. Now I’ll show you how to download any 3D video from online with Leawo Video Downloader. Step 1: Open the Leawo prof. media program and you will find the “Video Downloader” in the main interface. Click it and then open the Leawo Video Downloader, in which you can paste the CBS URL in the address box. Step 2: After entering the CBS website you need to call out the wait-to-select panel by clicking the green arrow on the right side. Then choose the one with the right resolution you want and click the download icon. Step 3: Finally, what you need to do is clicking the green “Download” button. After that Leawo Video Downloader will begin to download the video you have chosen. Now that you have acquired the 3D movie, the next thing you need to do is to burn them to a Blu-ray. As mentioned above, the file size of a 3D MKV movie is normally pretty big, so you need to make sure that you burn them to a Blu-ray disc, which has much higher compacity than a DVD disc. To burn a 3D MKV Blu-ray disc, you also need a good Blu-ray burning program which can handle Blu-ray materials. Now I’ll recommend Leawo Blu-ray Creator for the job. 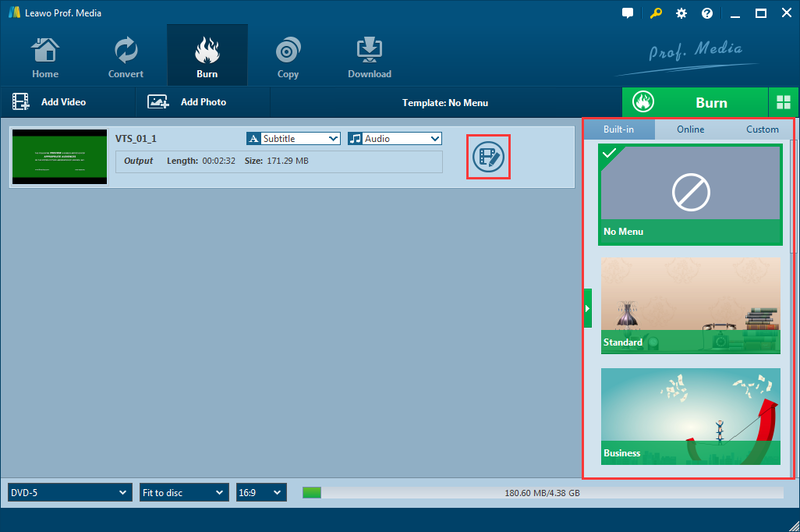 As an all-in-one Blu-ray disc burning program, Leawo Blu-ray Creator will allow you to create a 3D Blu-ray disc with several steps. Step 2. Insert a Blu-ray disc which has enough capacity for the 3D MKV Blu-ray video. Step 3. Load the 3D MKV movie you would like to burn to the program by clicking “Add Video” at the top of the main screen. Step 4: If you want to do some further edits to your video, click the edit button on the video, you can trim, crop, add special effects, add watermarks, or turn 2D video to 3D in the built-in video editor. 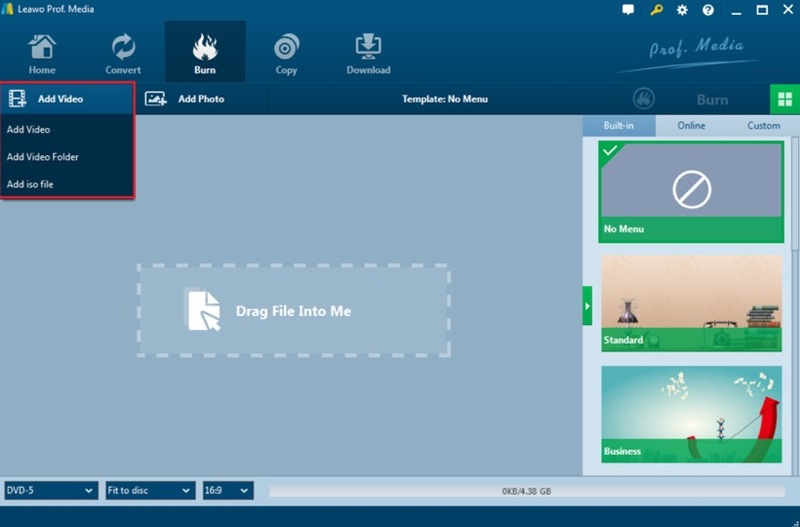 You can also create a Blu-ray menu with the beautiful Blu-ray menu templates. If you don’t want to burn the 3D movie to a Blu-ray, instead, you want to watch the 3D movie directly on your computer, you can also do it with a professional media player that is powerful enough to handle 3D MKV materials. 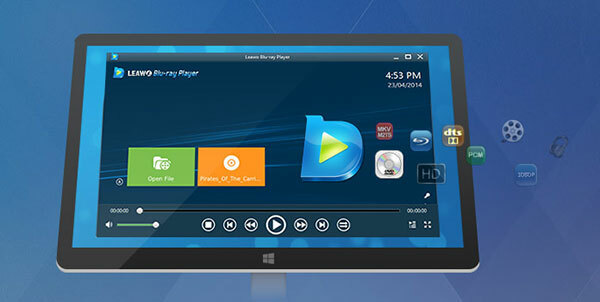 For this task, I’ll recommend you a media player called Leawo Blu-ray Player. As a 100% free professional media player for both Windows and Mac, Leawo Blu-ray Player contains all media playback solutions you need for your leisure entertainment, including DVD, Blu-ray, CD, HD (4K), ISO file with AVI, MPEG, ASF, FLV, MKV/MKA, or audio format MP3, WMV, AAC, AC3 and other popular formats supported. With advanced image and audio processing technology, Leawo Blu-ray Player could provide you quality-lossless image for even 4K video, stereo audio enjoyment. It provides across-region DVD/Blu-ray playback and user-oriented playback control. Step 1. After you have imported your video like suggested in the 2nd part of this article, enter the 3D editing panel. First of all, click the “Edit” icon on the file and find the “3D” option. Step 2. Add 3D effects to the movie. Click on the “3D” option to enable 3D effect where you can choose “Red/Cyan”, “Red/Green”, “Red/Blue”, “Blue/Yellow”, “Interleaved” and “Side by Side” according to your own requirements. Then click “OK” button at the bottom. Step 3. Start burning. After you have set the 3D effects, proceed burning like usual cases. After the burning process, you should have a 3D Blu-ray disc out of a regular 2D movie.